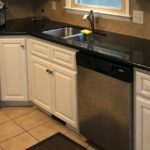 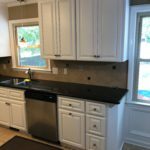 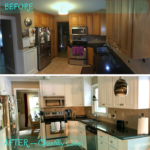 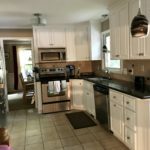 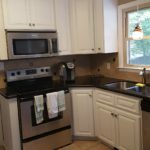 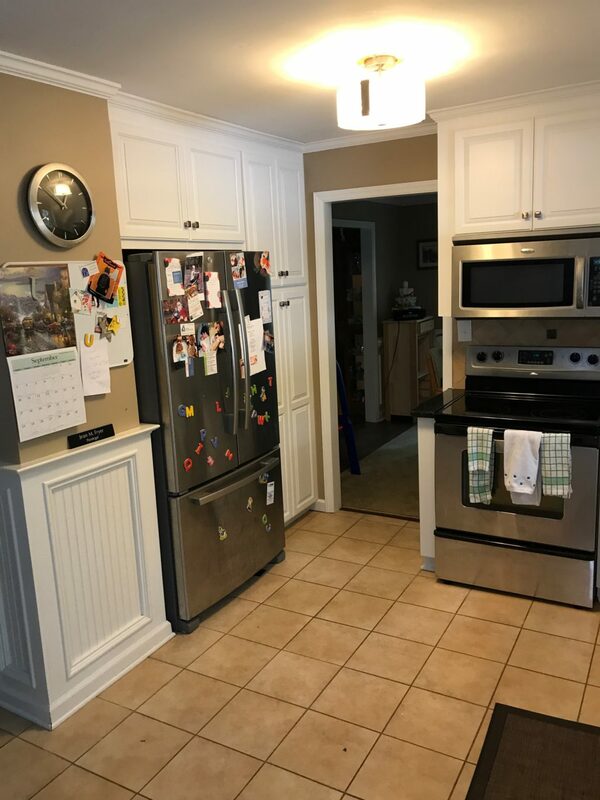 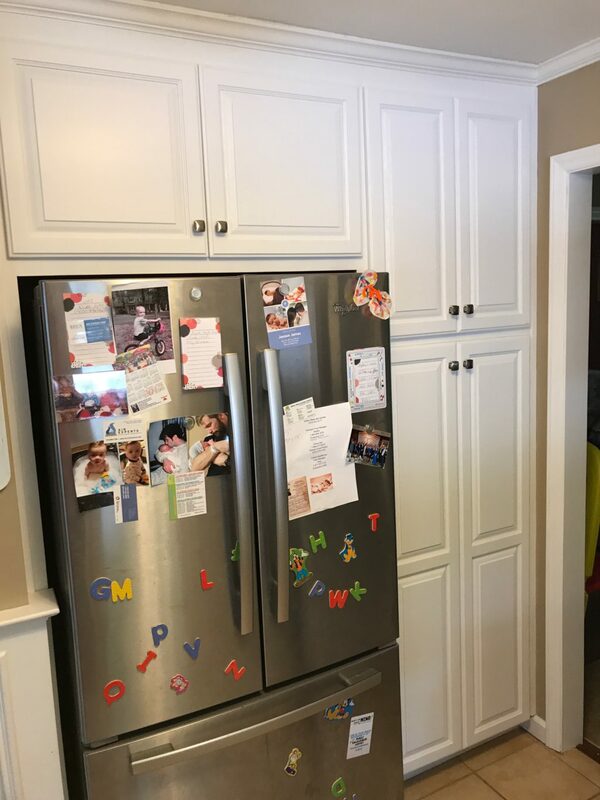 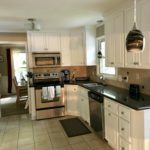 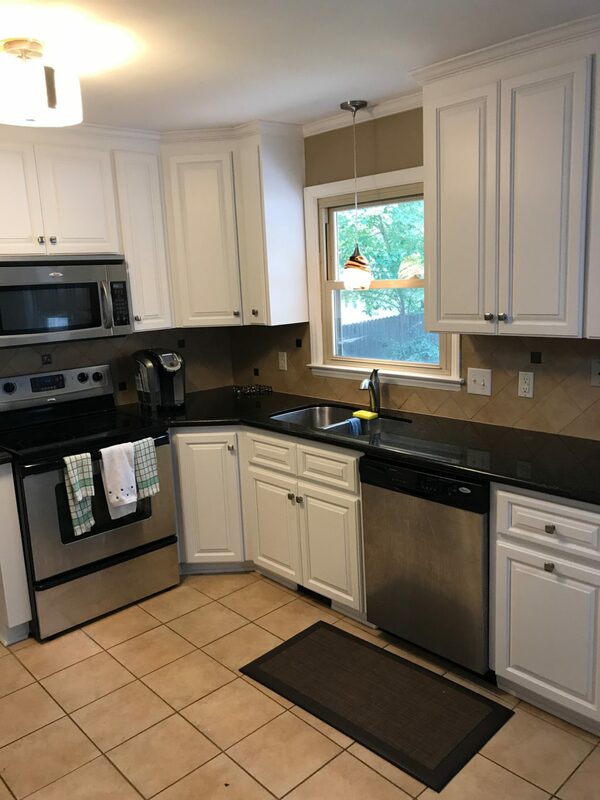 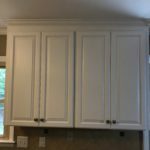 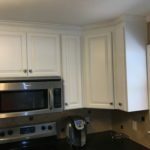 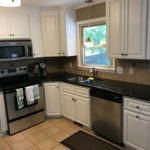 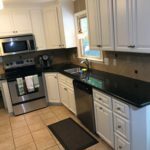 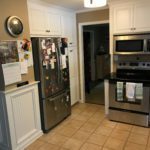 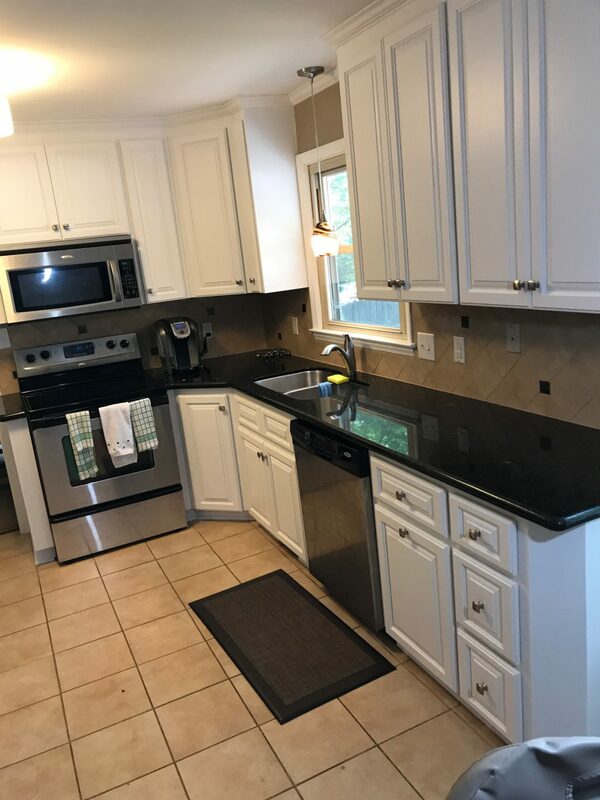 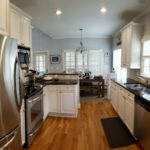 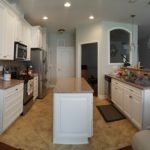 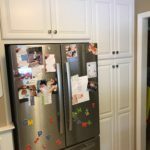 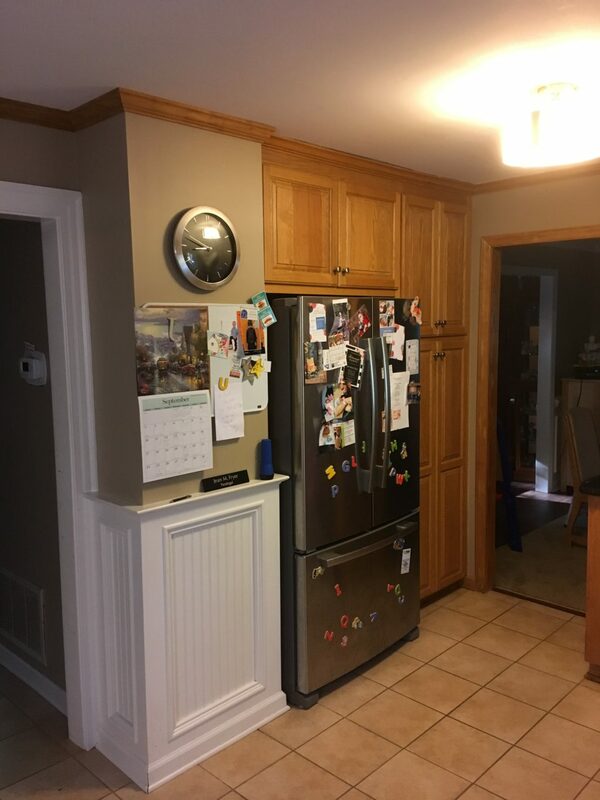 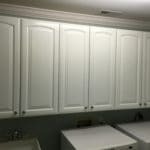 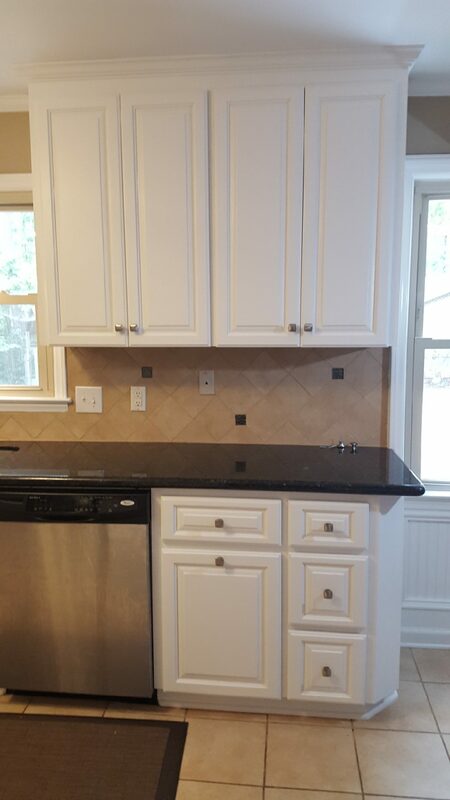 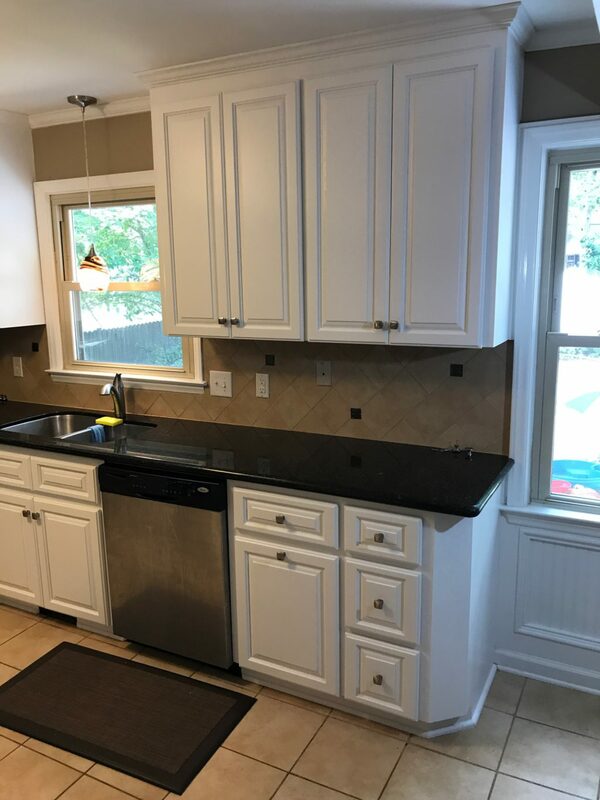 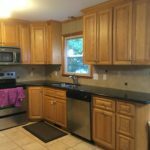 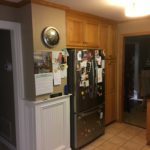 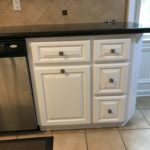 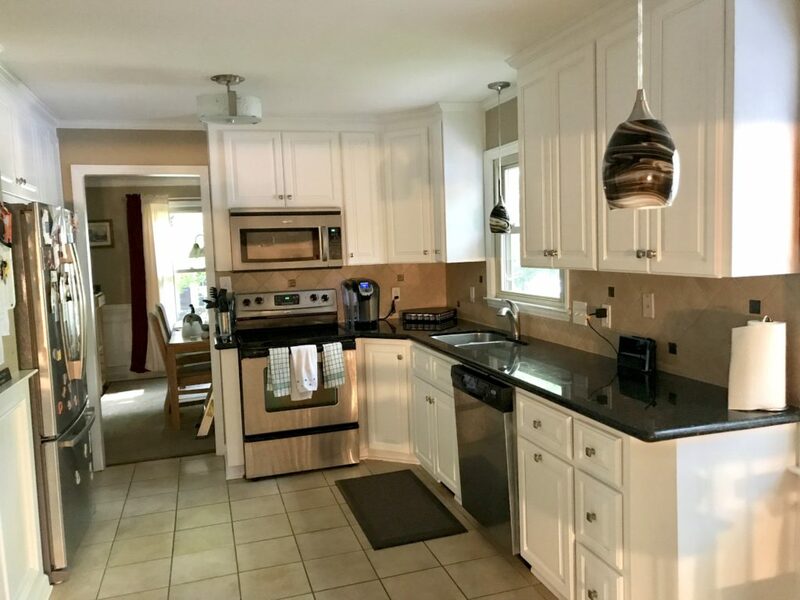 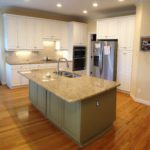 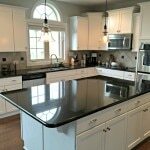 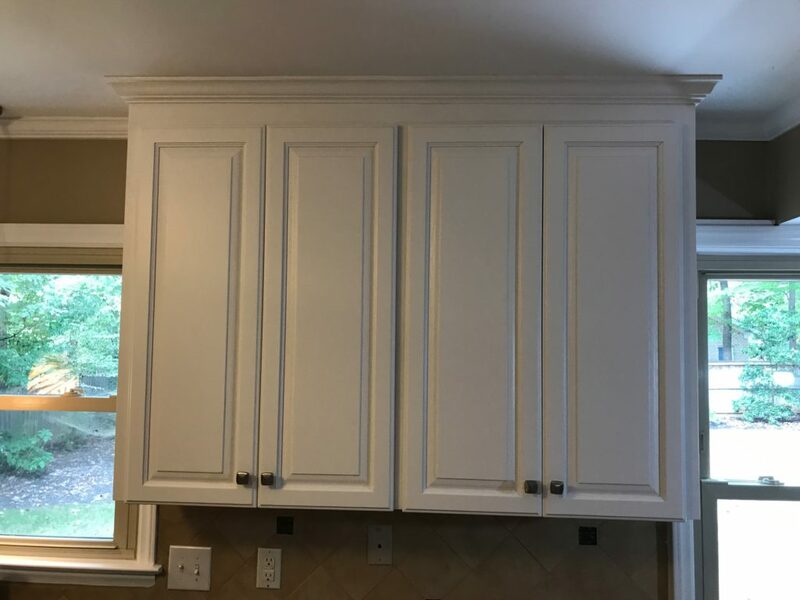 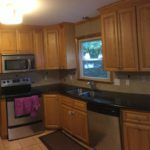 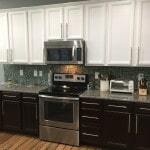 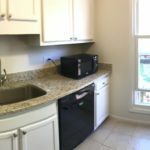 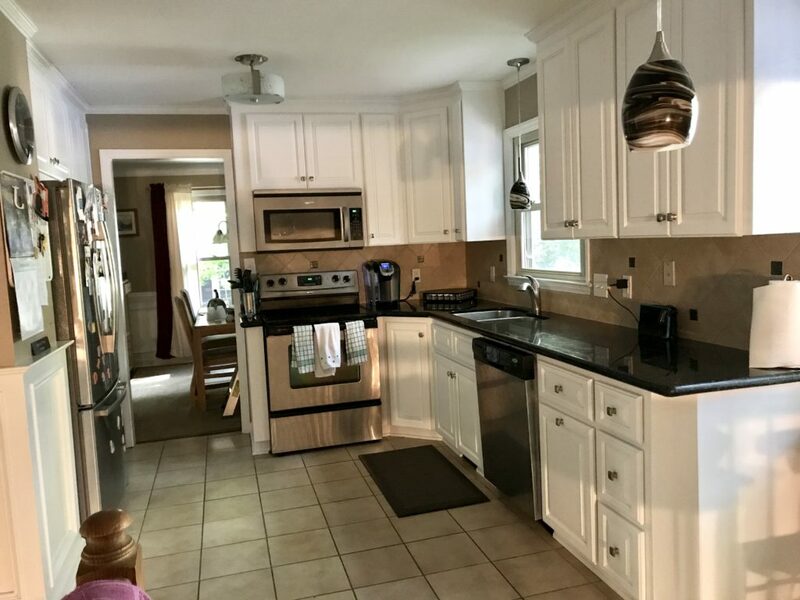 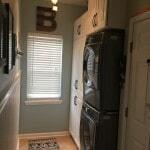 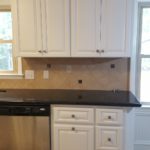 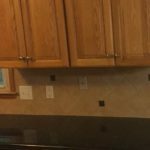 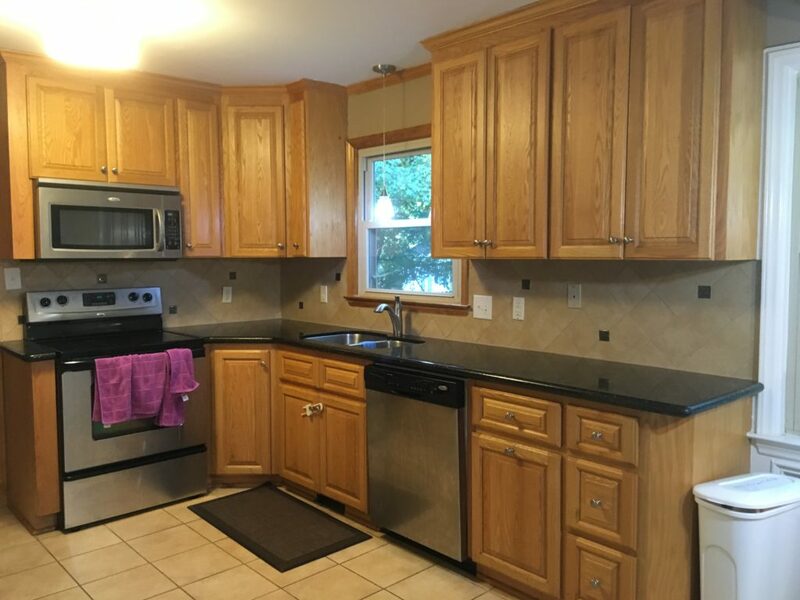 Our homeowner had gorgeous, solid oak kitchen cabinets, that were much too nice to replace. 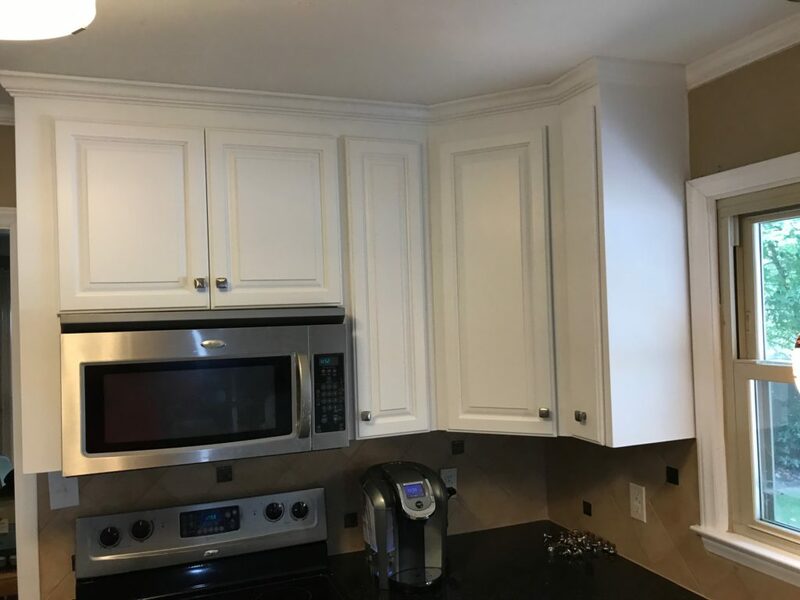 So painting them was the obvious choice. 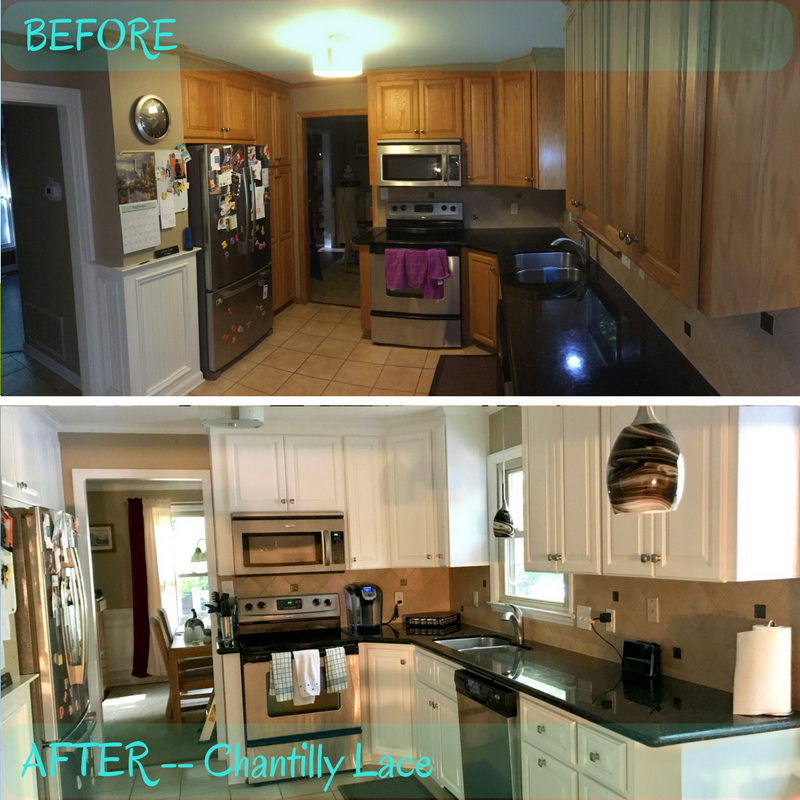 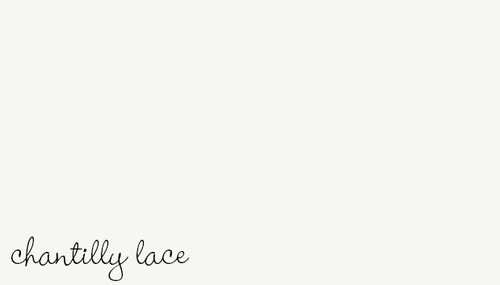 The bright white, Chantilly Lace paint color tied them into the existing wainscoting and trim in the room. 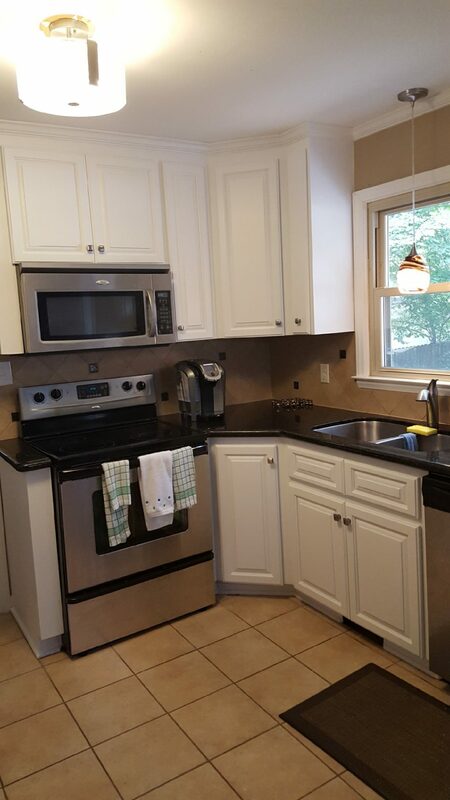 Now this kitchen feels modern and bright. 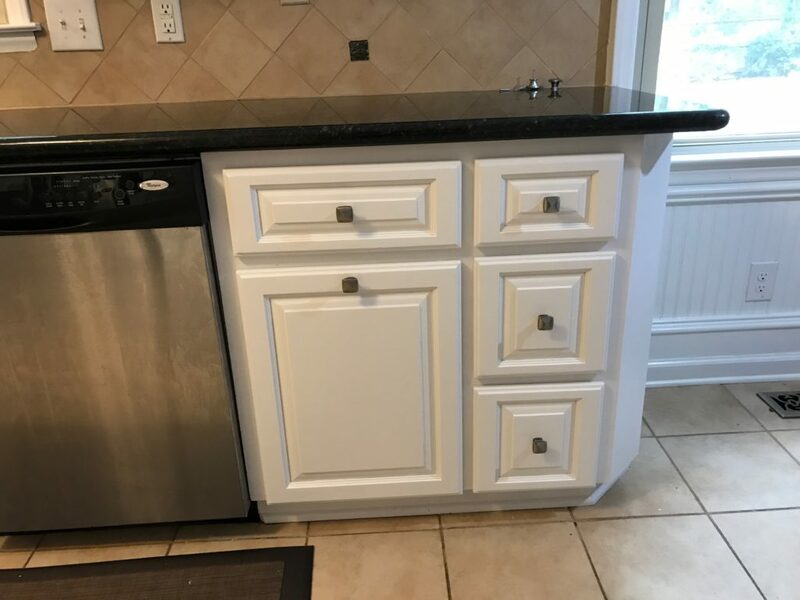 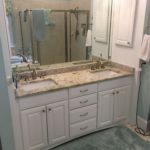 And the brushed nickel knobs give the cabinets a little extra bling!